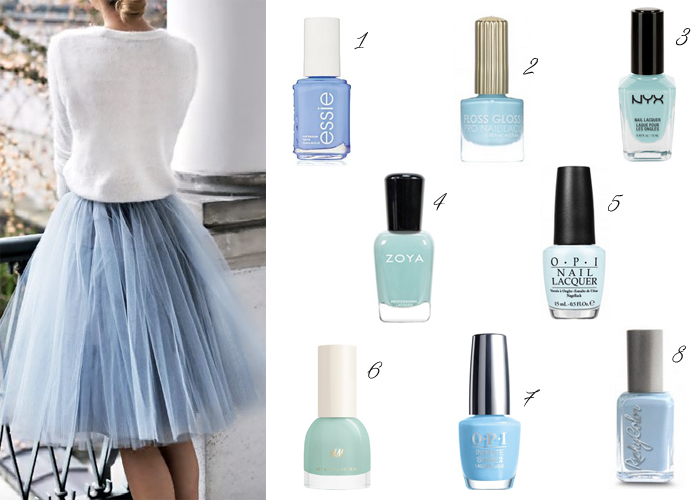 Candy colors are a must have this spring and we can’t forget about our nails especially, they need to look like spring as well – and that you can achieve with a bright blue nail polish! The color might come off as a cool winter mood color but not so for this spring, since you can match it with all kinds of colors that we can wear now. We would even go so far and put on some light blue eyeshadow. But you gotta make sure its the right shade of blue for your skin tone.